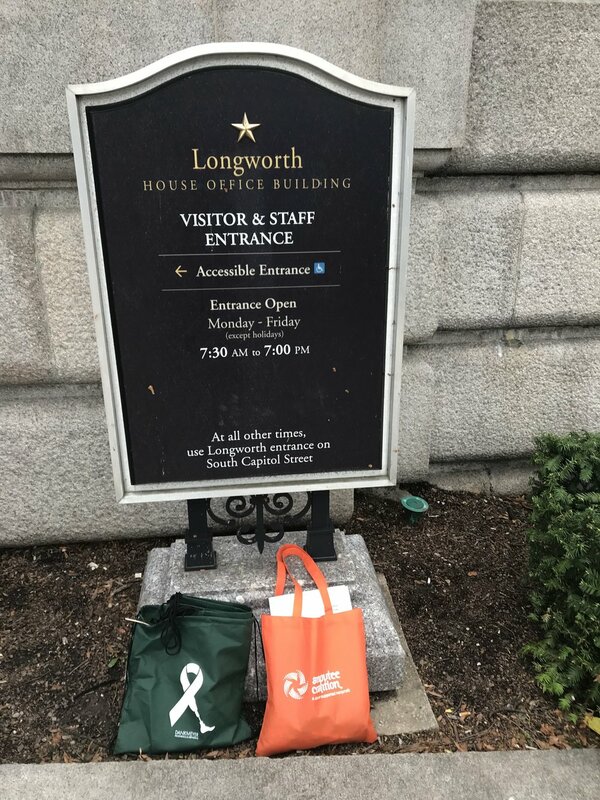 Jeanne Smith, Dankmeyer Patient Services Representative, attended the Amputee Coalition Hill Day on April 17, 2018. On behalf of Dankmeyer, Inc., she was there for the second year in a row to speak up and advocate for the limb loss community. Along with other medical professionals, amputee family members and amputees, Jeanne met with US Senators’ and Representatives’ staff members to discuss insurance fairness, funding for research, and changes to the local coverage determination process for better access for prosthetic and orthotic care. We thank the following Senators’ and Representatives’ staffers for meeting with Jeanne during her visit: Cody Knipfer - Office of Representative Anthony Brown, Marc Broady - Office of Representative Elijah Cummings, Lauren Jee - Office of Senator Ben Cardin, and Alyssa Penna - Office of Senator Chris Van Hollen. Please visit the Amputee Coalition website www.amputee-coalition.org to learn more about the organization and their advocacy efforts and education. After visiting the site to learn about the efforts, please take a moment to call, write or email your Representatives and Senators to AMPLIFY your voice.